You know what I hate? I hate it when I&apos;m trying to have an intimate, 6 day garden rave with a little DAB radio, only for the batteries to give up the ghost a few hours into my epic party…. The only way is down for digital radio price tags. You&apos;d think the whole world by now would have a fancy PURE bedside radio, what with the rate that they keep producing new ones at. If you don&apos;t however, the Siesta iDock is probably their best yet. 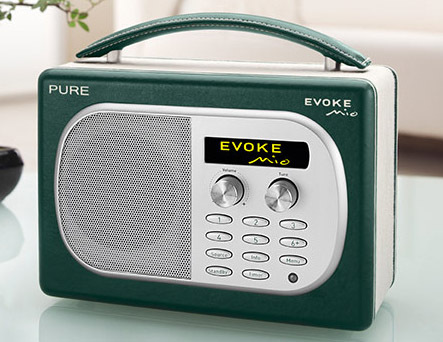 Pride of place goes to the Siesta Flow, which PURE is billing as its first internet connected bedside radio. 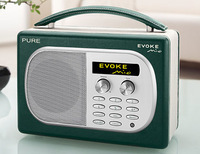 The Siesta Flow has a retail price of £99.99 which also makes its PURE&apos;s cheapest internet radio so far. The future of DAB radio took a bit of a kicking today when Germany and Switzerland’s commercial radio stations refused to invest in developing the DAB system to replace existing FM/AM transmissions. Their argument was that it didn’t make financial sense to do so. The news has big repercussions for the UK and the rest of Europe. The Digital Britain report stated that the government would “work with our European partners, including the European Commission, to develop a common European approach to digital radio”. Well, it seems like all of the European partners aren’t interested in coming to the party. The move could also be bad news for consumers. DAB radios are already much more expensive than their analogue brethren and the lack of a Europe-wide market is hardly going to help the cause. Car manufacturers are also less likely to include DAB radios in cars if they’ll only get maximum usage in selected countries. The whole DAB scenario has been a bit of a shambles from the start really. Some DAB radios in the UK- reportedly as many as 9million – won’t even work if/when the system gets upgraded to the superior DAB+ system. Campaigns such as Save FM argue that there is no need to take radio digital anyway – with many people arguing FM audio quality is, in fact, superior. The rise of internet radio also raises questions for the need of a digital radio network. 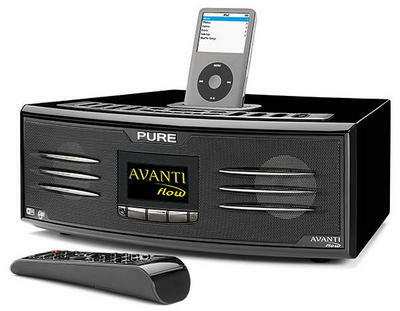 It seems the fashion for sticking an iPod dock on audio products still hasn’t died, with PURE launching its latest radio unit, the Avanti Flow, complete with Apple-friendly port. The Pure EVOKE Mio comes in six “striking” colours – chilli (red? ), chocolate (brown? ), moss (green? ), nicotine (yellow? ), candy (pink?) and midnight (black?) – with the leather-esque front of each unit colour-coded so it’s as much fun to look at as listen to. Almost.